Anyone under a keto diet would know the struggle of controlling yourself from eating your favorite high-carb foods. If pancakes are one of your favorite breakfast meals but you don’t get to eat them anymore because of a diet regimen, we’ve got some good news for you. 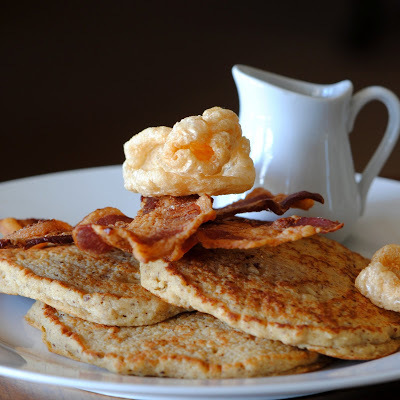 Pork rind pancakes are a great alternative to normal pancakes, supporting your high-fat and low-carb diet. Here are some r﻿﻿ecipes﻿﻿ you should definitely try. Grind the pork rind by putting it in a sealable bag (Ziploc) and crushing it with a rolling pin until it turns into a flour-like texture or powder. Use a spice grinder to make ground pork rind if you have one. Put it aside. In a medium mixing bowl, whisk the eggs, stevia, and the coconut or almond milk. Put in the ground pork rind and cinnamon. Continue whisking until it starts to get a smooth consistency, then put it aside to let it thicken. Prepare a non-stick pan and heat the coconut oil. Once heated, put in your pancake batter and shape it the way you want it. Fry the pancakes until they turn brown and then flip them to the other side. After cooking, serve with some nut butter (or the butter of your choice). You could also top your pancakes with some sliced avocados for added healthy fats. 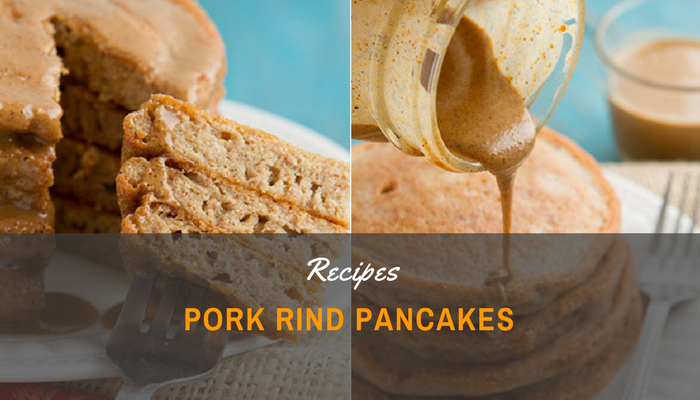 Now that you know how to make Pork Rind Pancakes, here are some toppings you can place on your pancakes to make them even more delicious. Heat a medium pan and put in the butter. Let it melt, and then add in the sweetener, salt, cider vinegar, cream, and water. Stir the mixture well and let it boil for around 1 minute. Remove the mixture from the stove and add in the vanilla extract and baking soda. You could also add in some maple flavoring if you want to. The mixture will begin to foam when the baking soda and the flavorings are added. Once finished, drizzle them on top of your keto pancakes. In case servings are too much for your pancakes, store the syrup in a refrigerator-friendly and microwavable container. It can be kept in the fridge for 3 weeks max. ​This is a very simple pancake topping that lets you enjoy your favorite berries with your healthy pancakes. ​All you have to do is toss in some blueberries, raspberries, strawberries, and your other preferred berries into a blender. Once the ingredients have been blended, put the mixture in a pot and warm it through the stove. Add your choice of sweetener into the puree, and then drizzle onto your pancakes. ​Here we have presented to you a way for you to satisfy your pancake cravings without having to cut off your diet. There are many other ways that you can enjoy your favorite meals without having to go on a cheat day. You just have to know the healthier substitutes to the usual ingredients.